New York, NY, March 13, 2019 --(PR.com)-- VOS Digital Media Group has entered into a content distribution agreement with Obsev Studios. Obsev is a prolific digital media creator crafting premium content across verticals such as entertainment, sports, food, and more. As a video partner for hundreds of digital properties, VOS distributes digital video to hundreds of domains in the United States and Canada for web, mobile and OTT devices. Digital publishers from around the world will be able to access Obsev Studio’s compelling content on their digital properties through VOS. Obsev Studios is doing more than you’ve seen online in a way most haven’t thought to innovate. 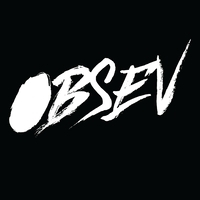 An addictive, gotta have-it digital content platform that millennials crave, Obsev is innovating across current and emerging online distribution platforms and building an audience that’s both engaged and loyal. It’s an audience that puts internet on par with water and shelter. Entertainment. Sports. Food. Nerd Culture. Memes. Internet Idiocy. *Hollyscoop: At Hollyscoop, we’re obsessed with celebrities, TV, music, movies, and of course... Hollywood! We bring you the latest entertainment news and break down what’s happening with the A-Listers everyone is obsessing over. Experience the red carpet with the Hollyscoop team and get our take on Hollywood’s biggest stars. *The Fumble: The Fumble is not your average sports brand. We cover everything they’re afraid to show you on TV. From crazed fans, to game-day fights and what your favorite athletes are unto after hours, you’ll find it here. We highlight history making plays and keep you informed with what’s new in the world of sports. The Fumble is sports new for the super-fan who can’t get enough. *NerdWire: We’re obsessed with literally everything at NerdWire. Nerd culture? We got it. Pop culture? We got it. Dirty cartoon jokes, anime babes, video games, comics, movies and TV shows. It’s all in one place, and we’ll do everything to make sure you’re as obsessed as we are. Currently a standalone app on Roku.